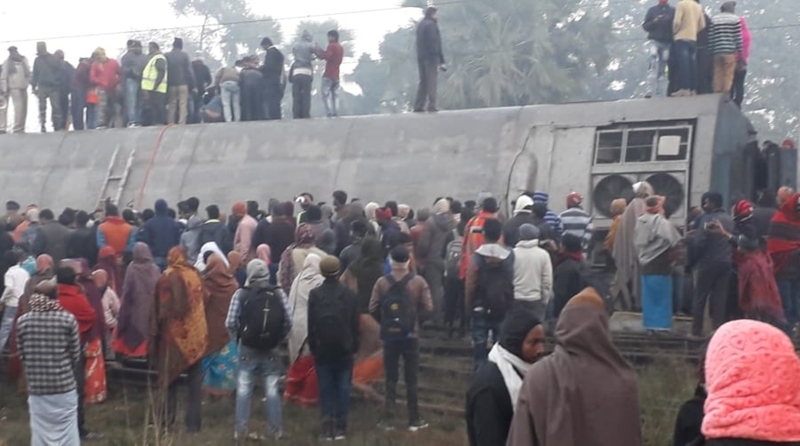 Around 11 coaches of the Jogbani-Anand Vihar Seemanchal Express derailed in Bihar’s Vaishali district early on Sunday killing at least seven persons and injuring many. Officials fear that the death toll might increase as many are still trapped inside the derailed coaches. ANI reported that East Central Railway (ECR) General Manager LC Trivedi confirmed that seven people have lost their lives in Seemachal Express tragedy. The Delhi-bound train derailed between 3-4 am near Shadai Buzurg railway station in Vaishali. East Central Railway spokesperson Rajesh Kumar said that one general coach, one AC coach (B3), three sleeper coaches (S8, S9, S10) and four more coaches have derailed. The train, number 12487, was running at full speed when it derailed. Locals were the first to respond to the accident site. People were seen trying to rescue those trapped inside the derailed coaches before a massive rescue operation was launched involving personnel from NDRF and police. NDRF personnel went in through broken windows to scan the insides of the overturned coaches for those trapped. Sniffer dogs, too, were deployed to help in the rescue mission. “We are focusing on rescue and relief operations right now. Railway Accident Medical Van along with team of doctors is at site. Two teams of NDRF have also reached the spot,” Smita Vats Sharma, Additional Director General PR (Rail), was quoted as saying by ANI. The team of doctors was rushed nearby from Sonpur and Barauni. Bihar Chief Minister Nitish Kumar expressed grief over the Seemanchal Express tragedy and directed the state administration to provide all assistance in the rescue and relief operation. A statement from Railway Minister Piyush Goyal’s office said that the Minister is in touch with Railway Board members and GM ECR regarding the accident. “Relief and rescue operations are underway. He has expressed profound grief over the loss of innocent lives in this tragic accident and wished speedy recovery for the injured,” Goyal’s office said. The Indian Railways announced that ex gratia Rs 5 lakh each will be given to the kin of the deceased while Rs 1 lakh would be given to the grievously injured and Rs 50,000 to those who have suffered simple injuries. The Railways will also bear medical expenses. Meanwhile, passenger trains on the route were cancelled. 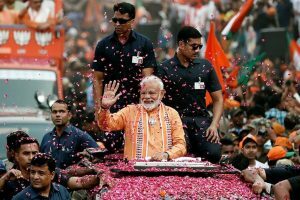 Trains coming from Uttar Pradesh for Bihar’s Chapra have been diverted via Muzaffarpur. The Railways has also issued help line numbers – Sonpur 06158221645, Hajipur 06224272230 and Barauni 06279232222.